Civil War black soldiers were eager to enlist in the Union Army. They were anxious to join the fight against slavery and they believed that military service would allow them to be seen as equals and prove their right to equality. One of the most famous abolitionist during the Civil War was Frederick Douglass. He was a strong advocate for equality, and wanted African Americans to be given the opportunity to fight for the Union cause. Another abolitionist who strongly believed that African Americans were capable and willing to fight for their freedom if given the chance was John Brown. In 1859 John Brown along with his sons and several supporters attacked the arsenal at Harper’s Ferry. Their goal was to steal weapons in the hopes that nearby slaves would rise up and join them in a revolution which would bring about the end of slavery. The raid failed after no slaves joined them and they were surrounded in a fire house and forced to surrender. The South also considered using blacks to fight, but most Confederates strongly opposed giving slaves weapons, weapons which could easily be turned against the slave owners. It would also make it hard to continue to justify slavery if the Confederacy had slaves fighting in the military. It wasn’t until the final months of the war in 1865 that the Confederacy finally decided to enlist slaves into the army and create Confederate black soldiers. Shortly after the battle of Antietam in 1862 President Abraham Lincoln issued the Emancipation Proclamation. One of the provisions of this act permitted African Americans to enlist in the Union army and navy. The Emancipation Proclamation went into effect on January 1, 1863. 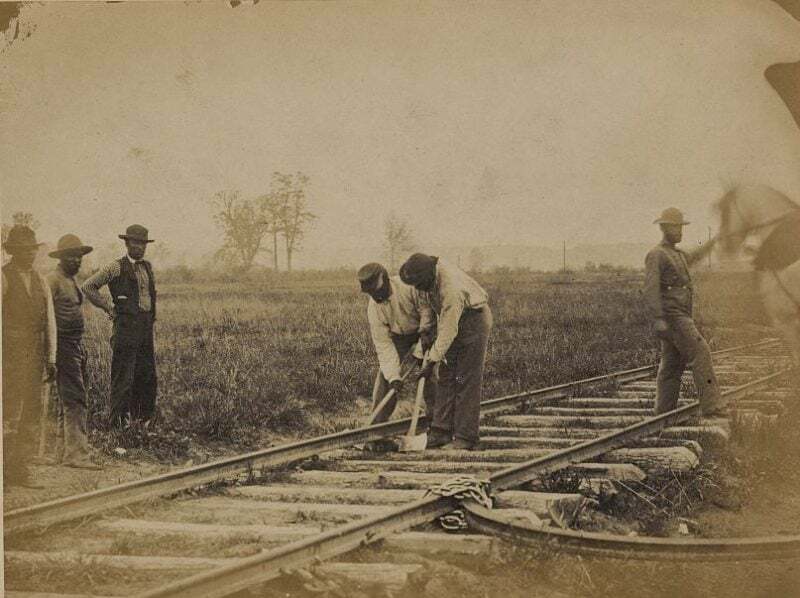 While African Americans were allowed to join the Union army and navy they were initially only to be used for manual labor and not as military combat troops. Black soldiers were paid a lower wage than white troops. 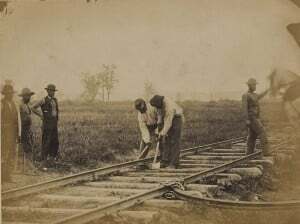 African Americans received $10 a month plus a $3 clothing allowance, while the wage paid to white soldiers was $13 a month plus a $3.50 clothing allowance. Civil War black soldiers in the Union army were not universally accepted by all white soldiers. African American soldiers had to contend with racism from white soldiers especially in the beginning. Whites grew to be much more accepting of African American soldiers after they had proved themselves in combat to be just as willing and able to die for their country as they were. Despite having to deal with lower pay and racism African American soldiers were determined to serve their country and to fight for their rights. The very first Civil War black regiment was the 1st South Carolina Volunteers. The regiment was made up of freed slaves from Florida and South Carolina. It was commanded by Colonel T. W. Higginson. The unit saw very little combat during the war. The most famous and well-known African American unit during the Civil War was the 54th Massachusetts regiment. 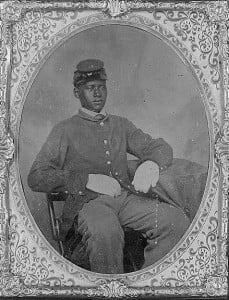 The 54th Massachusetts was the first African American regiment to be recruited in the North and consisted of free men (the 1st South Carolina Regiment was recruited in southern territory and was made up of freed slaves). 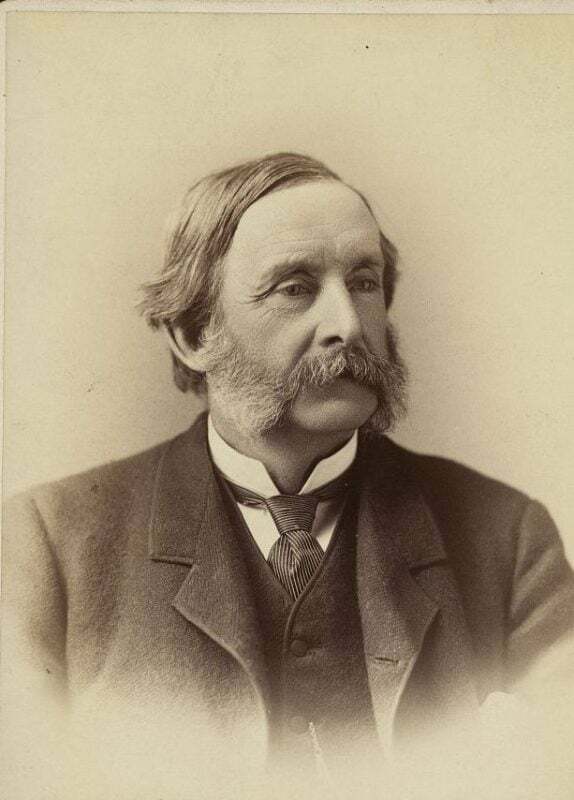 The 54th was led by Colonel Robert Gould Shaw, the son of wealthy Boston abolitionists. The Union army only intended to use Civil War black soldiers for manual labor which would then free up white troops for actual combat duties. The men of the 54th Massachusetts joined the army to fight the Confederacy, not do manual labor. Colonel Shaw believed his men would fight well. After strenuously arguing with his superior officers he was finally given permission to send his troops into combat. Their first action was in South Carolina defending against an attack by Confederate troops on James Island on July 16, 1863. This was a minor skirmish, the battle which forever made them famous took place two days later. On July 18, 1863, Shaw led the 54th Massachusetts in an assault against Fort Wagner, which guarded Charleston harbor in South Carolina. 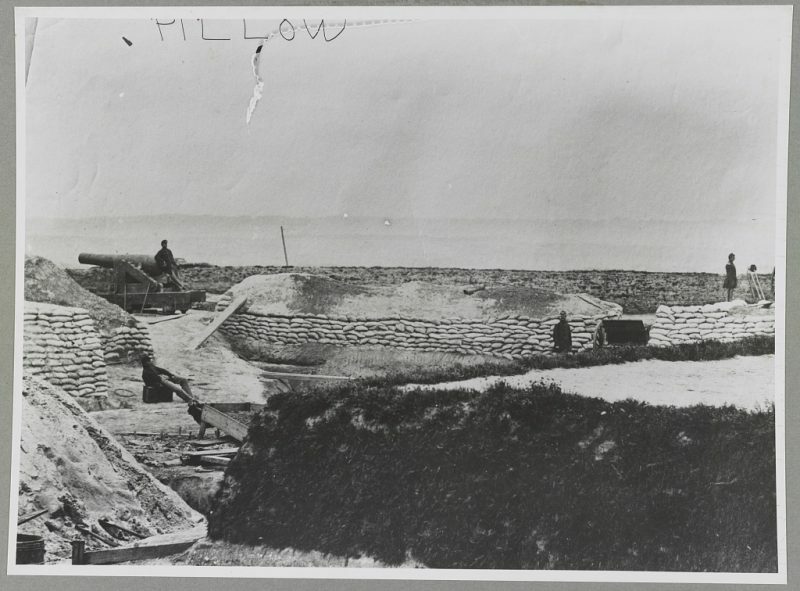 The capture of this fort was very important to the Union military. It’s capture would allow Union warships to enter Charleston harbor and besiege the city of Charleston itself. The 54th Massachusetts was assigned to lead the assault on Fort Wagner. Although they fought bravely under heavy enemy fire the attack failed. 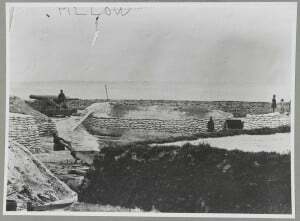 The white regiments that followed the 54th Massachusetts in the attack succeeded in holding a portion of the fort for a short time however they were eventually forced to withdraw as Confederates soldiers reinforced the fort and drove them back. Colonel Shaw was killed in the assault. Almost half of his troops were killed, captured or missing, but the assault showed that black troops would fight bravely under heavy enemy fire. African Americans also enlisted in the Union navy. They typically served in a variety of support positions. 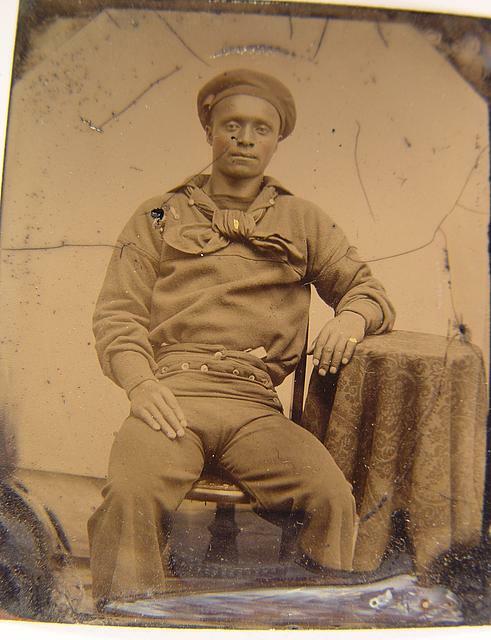 In all over 200,000 Civil War black soldiers served in the Union military during the Civil War. African Americans faced just as many dangers on the battlefield as did their white counterparts. For black soldiers the only thing worse than combat was the very real threat of being executed or sent back into slavery if they were captured by Confederate forces. The Confederates declared that all black men fighting for the Union were to be treated as rebel slaves, and black soldiers were frequently executed if they fell into Confederate hands. The most famous example of this was the execution of many black soldiers after they had surrendered during the battle of Fort Pillow. Black soldiers who were fortunate enough to survive their initial capture were often treated more harshly than were white Union soldiers. Since the Confederacy did not recognize black soldiers as legitimate prisoners of war they refused to release them in prisoner exchanges. This policy led the Union to begin to refuse to do prisoner exchanges at all with the Confederates. The Confederacy could never win a war of attrition against the Union. The south was almost always outnumbered in every major engagement against the north. When the Union refused to continue prisoner exchanges it put even more strain on southern manpower. In 1865 the south was desperate for men. 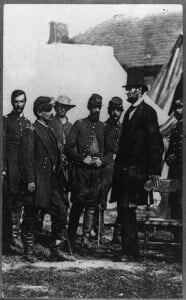 The Union seemed to have an endless supply of soldiers and the south was being crushed by the sheer weight of numbers against them. 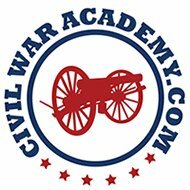 Out of this desperation for manpower the Confederacy decided to begin to enlist slaves into the army. Jefferson Davis signed this proposal into law on March 13, 1865. Confederate General Patrick Cleburne had suggested this idea early in 1864 but the plan was rejected initially. General Robert E. Lee had earlier told the Confederate congress that he believed these extra fighting men were absolutely needed if the south had any hope of defeating the north. Black Confederate regiments were formed however the war ended before they saw any combat. 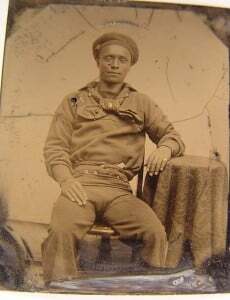 The African American soldiers who served in the United States army and navy during the Civil War made great sacrifices for the nation. The highest number of black soldiers serving at one time during the Civil War was 186,017 men. At the last muster call of black troops on July 15th 1865 there were a total of 123,156 black soldiers in the Union army. 40,000 black soldiers died during the war. The majority of these deaths were from disease. 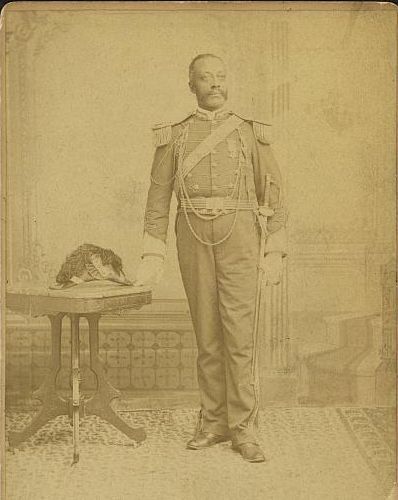 Many black soldiers were promoted to officers during the war. 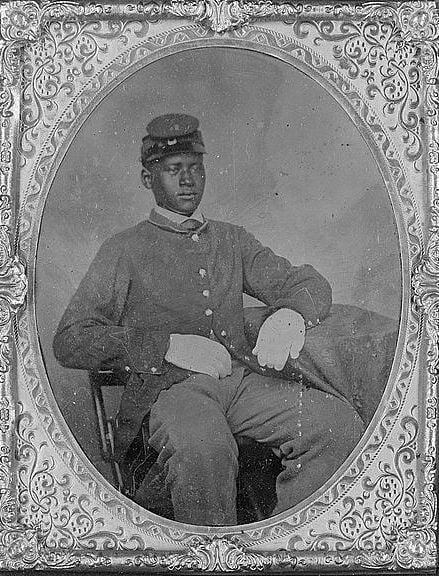 Eighteen Civil War black soldiers were awarded the Medal of Honor. Despite their achievements and bravery during the war, African Americans living in the south still faced widespread racism and discrimination. They were often intimated or denied their right to vote by southern officials. They faced beatings, lynchings, and segregation for many decades after the Civil War. It is said that the Civil War did not officially end until the passage of the Civil Rights Act in 1964.